*Don't Blame Me...* Jewelry giveaway! Don't Blame Me... is having a jewelry giveaway! The jewelry she makes is simply fabulous! There are only 2 comments so far. Head on over and give her some commenting love! Giveaway ends October 22nd. Go. Enter. Win. Seriously, this giveaway is truly one of the best giveaways I've run across! You have to love her backgrounds and free goodies, but you'll also be a huge fan of her giveaway! 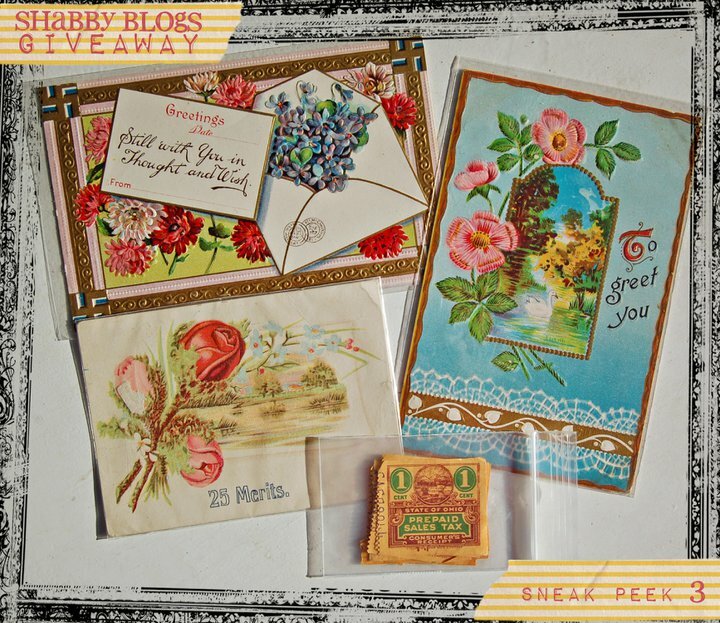 Shabbyblogs is filling a box full of her favorite shabby finds! 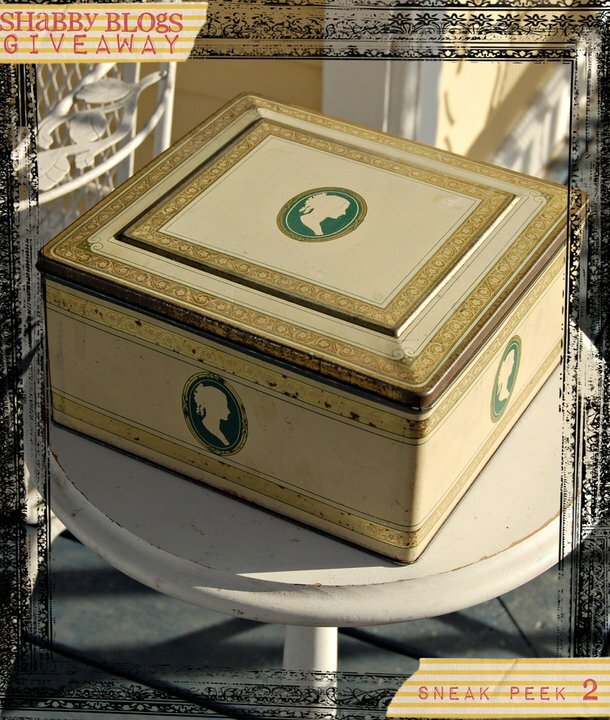 A WHOLE BOX full of adorable shabby goodness to add to your own collection. Sweet, right? Go and read her post...this giveaway is for a good cause that takes just a minute! This giveaway has been up for almost two weeks and only has 32 comments! I still can't believe there aren't more! Go. Enter. Win. 1. Going on a big family vacation before school starts. 2. My daughter starting kindergarten! 3. My son starting preschool (they grow up too fast!). 4. Lots of game nights with friends and family. 5. Trying to figure out the details of going back to school next semester. 6. 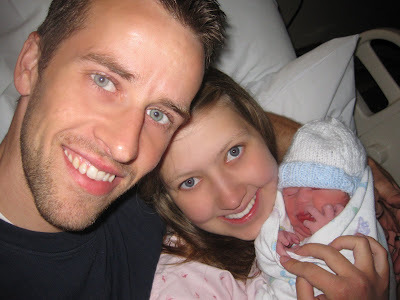 Last but not least having my baby boy on 10-10-10! Isn't that the coolest birthday ever?!? I have a few amazing giveaways to share with you. So I'll get to it! Etsy It UP! always has really cute giveaways all the time. Here's one for a $25 gift card. The giveaway ends June 26th and has 7 comments so far. Now, ususally Etsy It Up! has a lot of comments, but I will be honest I've won giveaways with over a hundred comments...so it's possible if not as often as a low comment giveaway. Today she's doing a giveaway every hour. So much to go check out! So have some giveaway fun today! Go. Enter. Win. I think that what this company is doing is pretty cool. That's why I wanted to share this giveaway with you! 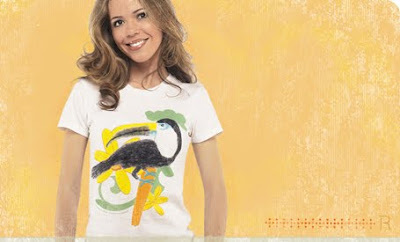 Eco Salon is giving away this t-shirt. Go and check it out. I didn't see a giveaway end date, but there are only 5 comments. Go. Enter. Win. 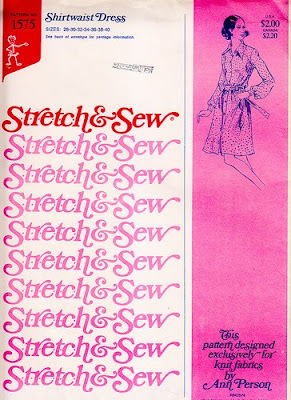 So truthfully I can only sew with the help of my mom. But I did buy a ton of material that is just lying around screaming for me to use. A shirt dress would be perfect! Life on an Urban Homestead is giving away this vintage pattern. Go. Enter. Win. 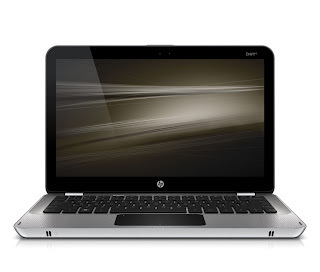 The giveaway ends June 2oth. There are only 3 comments. I think the title to this post sums up this giveaway...lovely. 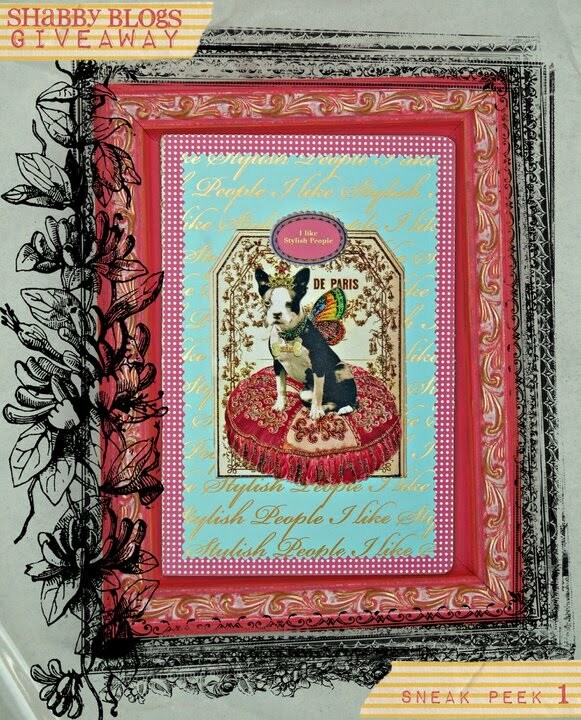 Kiss the Groom makes makes me wish for more of the beautiful things in life and so does this giveaway. I seriously love this blog. She said she'd pick a winner at the beginning of next week. There are 117 comments. Go. Enter. Win. I know, it's been FOREVER! I've been completely horrible at blogging. In the last few months we've been through a move, surprise pregnancy (accompanied by horrid morning sickness), travels, family and the works! So, my dear, dear followers FORGIVE ME...please :) And here's a giveaway you should know about! One of my favorite roommates from college started a blog Francy X to sell her jewelry and is having a giveaway to help kick things off! The giveaway ends June 25...so go check it out! She's having three different pieces of jewelry that she's giving away. There are only 3 comments so far. Go. Enter. Win. I had to introduce you to yet another amazing Giveaway Central followers at The Determined Fate who happens to be having an awesome giveaway. 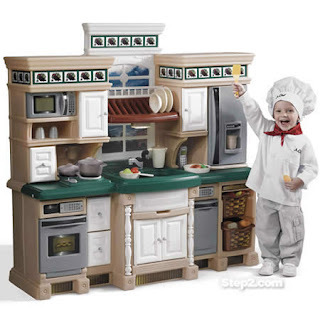 My son would literally LOVE this giveaway. He would probably carry it around all day, and sleep with it every night because there are pirate on the packages. He asked me for everything pirate for his 4th birthday this March. Anyways... Go. Enter. Win. Giveaway ends Feb. 9th, 55 comments. One Giveaway Central's wonderful followers is having a fun giveaway for a Go Green Lunch Box! 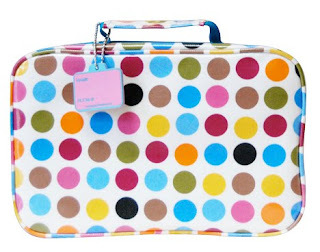 This is the lunch box I would choose, so cute right? Which one would you choose? Go. Enter. Win. Giveaway ends Feb. 15th, 5 comments so far. Okay, I think all giveaways are pretty awesome, but THIS giveaway really rocks! 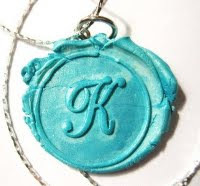 Keepin The Castle has this giveaway on her blog from Little Inspirations. 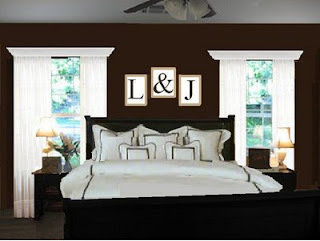 She is able to do a virtual redesign for a room in your house! 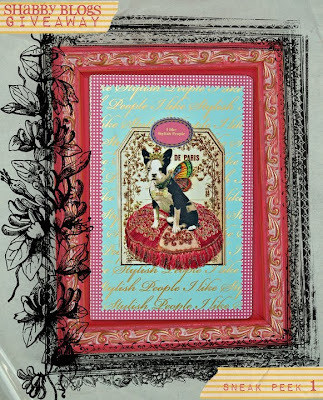 The photo above is one of her virtual designs and I think it is beautiful. I totally need this giveaway for my living room. Okay, I probably need this for every room in my house :) OR, get this, if you live near her, SHE WILL COME TO YOUR HOUSE! Go. Enter. Win. Giveaway ends Feb. 11th, there are only 14 comments so far. Who doesn't love makeup? 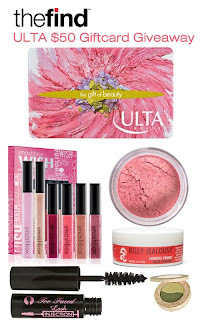 Enter to win a $50 gift card for Ulta cosmetics at The Find Blog. 2 comments so far. Ends November 11th! Go. Enter. Win. 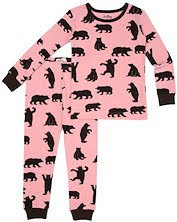 The Dirty Shirt is having a giveaway of a matching mommy and child pjs. I think they're cute :) 10 comments so far. Ends November 19th! Go. Enter. Win. 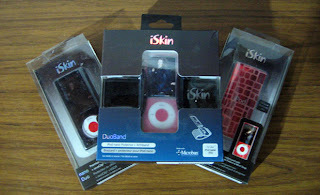 Win a iSkin for your iPod! Only 16 comments so far. Ends November 10th! Go. Enter. Win. I found another blog I really enjoy (man tonight I'm on fire!). Mommy? I'm Hungry! Is offering this school product giveaway! It ends November 6th. Go. Enter. Win. This blogger seems really nice! 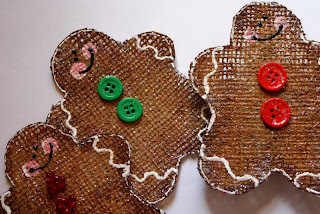 She's celebrating her 100th post by giving away these cute gingerbread men. The giveaway ends November 6th. 11 comments so far. Go. Enter. Win. 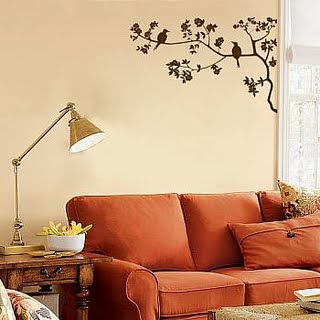 You've probably guessed I'm a sucker for wall decals. I just love them! 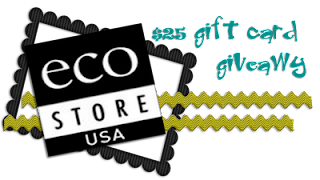 At A Baby?...Maybe there's a $25 gift card giveaway that ends November 1st. I was the first commenter that I know of. Go. Enter. Win. $50 gift card to Natures Cork. 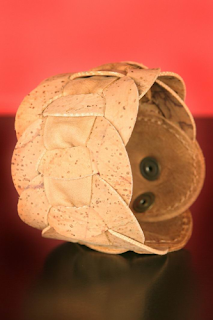 I really like this bracelet made out of cork. Looks cool, huh? Go. Enter. Win. at The Alternative Consumer. Ends November 9th. Only 19 comments so far. 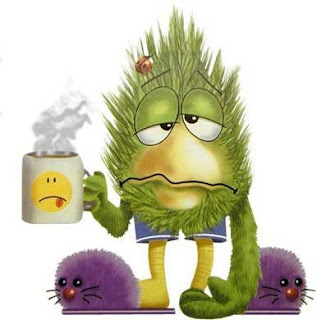 We're dealing with some sickness at my house this week. Sorry about the lack of posting and lack of giveaways! While I'm tending to my sweet little sick babies, check out my sister's blog for AWESOME tutorials and freebies! She's pretty much the most awesome EVER! This is my cutie pie telling her cousin a secret. They're pretty darn cute, huh? Anyways... 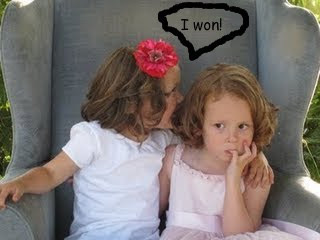 I'd love to congratulate you when you win! So post a comment and let me know what you've won and I'll congratulate you formally on my blog! Go. Enter. Win. Then let me know :) Happy Saturday! 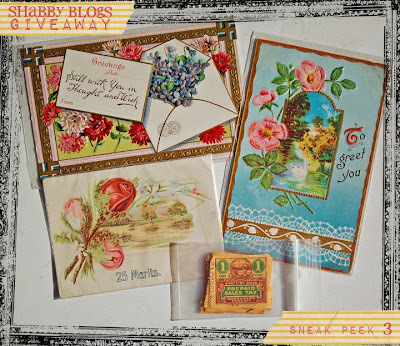 I know this sounds crazy but my mouth starting watering when I came across this giveaway! 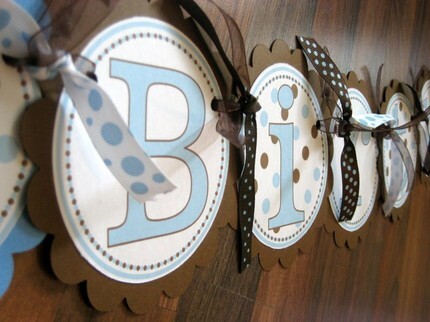 Not only is her blog adorable, but this is a really great and chic giveaway. 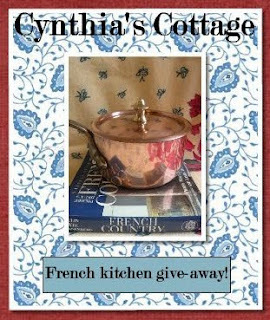 It includes: 30" round French lace table cloth , a French Vintage Le Creuset 6 1/2" saute pan, a 3 1/2" x 2" French copper butter pot , and a Pierre Deux mini style book. Don't take my word for it. 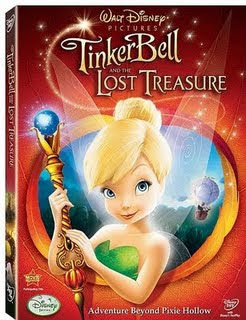 Does anyone have a young girl not craving to get their hands on this movie? Thought so :) Here is a giveaway that will help you win! Go. Enter. Win. My blog is undergoing some cosmetic changes. Please be patient while my sister helps me make this blog look even more fantastic! Since I'm on the topic of low comment giveaways I thought I'd share this giveaway with you! Dev's Favorite Giveaways is offering this pendant to a lucky winner! 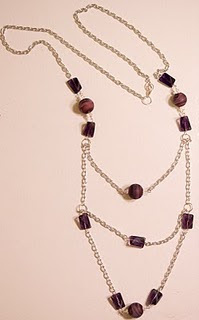 I just love jewelry and this looks so shabby and chic! LOVE IT! Go. Enter. Win. My sister's backgrounds are THE best!